We've added this flat to your booking basket. You can either keep exploring and add some more to your basket or book in this viewing now! 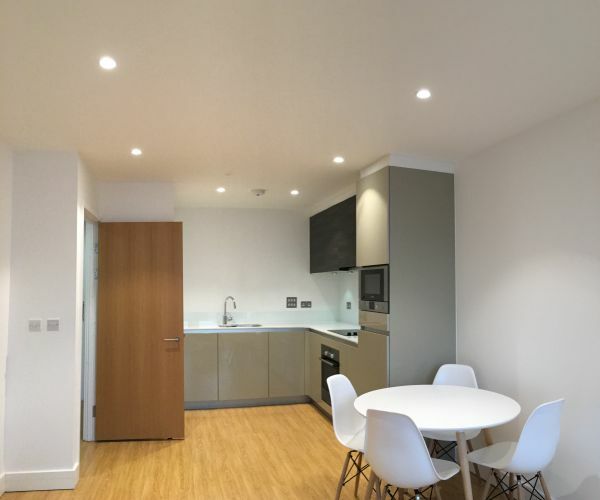 Our bright and spacious one bedroom flats have generous open plan living and kitchen areas with integrated high-quality appliances, a spacious master bedroom with a fitted wardrobe, a modern bathroom, and ample storage space throughout. 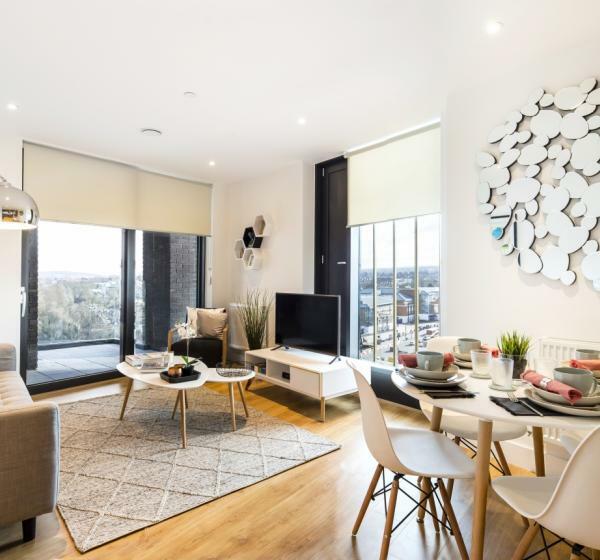 Most one bedroom flats come with a private balcony or terrace, and residents have exclusive access to our communal areas. Fizzy flats come with FREE broadband internet for the length of your tenancy. Utility bills are charged extra at a fixed cost per month and are reconciled annually - Fizzy refunds you the difference if you've used less heating and hot water than what you've been paying for. All Fizzy residents receives a FREE annual spring clean and maintenance check on all fixtures and fittings. 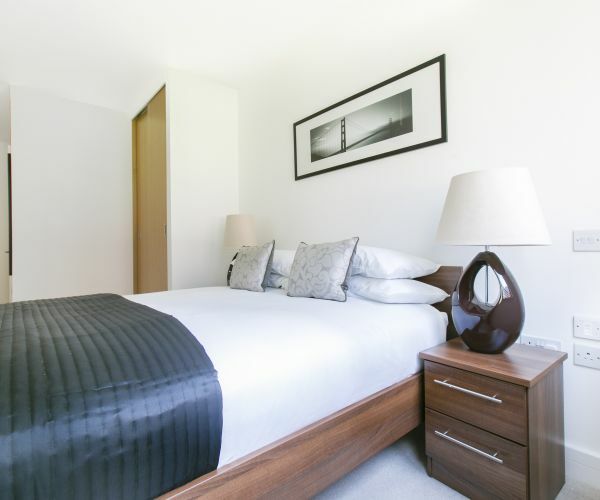 Also features an in-built wardrobe in the bedroom, a washing/dryer machine in the large storage cupboard, and a fully integrated kitchen with high quality appliances. Fizzy flats are available unfurnished or furnished. We provide a great selection of contemporary, stylish and good-quality furniture packages to fully kit out your new home. Furniture packs are available at an additional monthly cost. We’re all about hassle-free renting and this begins right when you first think about finding a new home. If possible, we'll try to show you this exact flat during a viewing - and to save time, we offer 1 to 1 personal Skype or FaceTime viewings in addition to in-person tours. 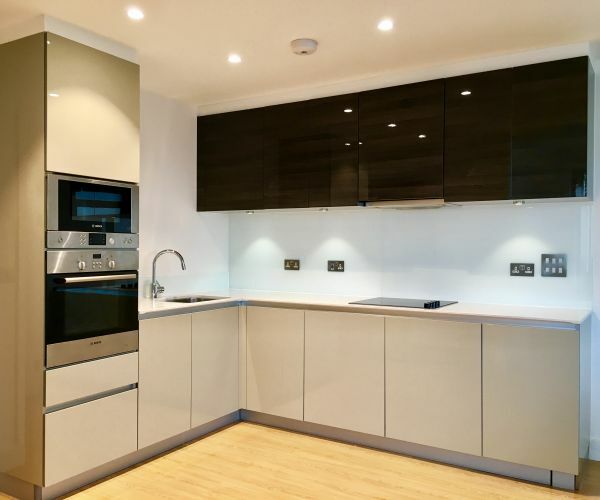 You can beat the queue and reserve your flat now to secure your next ideal home. If you don't see exactly what you want here, check out what else is available in this building or in some of our other locations.